As a pet parent, you most probably want the very best for your dog, but making all the right choices is not always the easiest task. 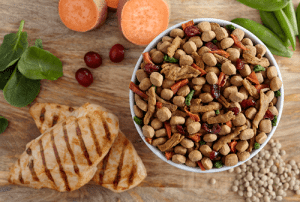 There are multiple alternatives on the market, and you might be wondering which one to go for in order to make sure that your pup has all his or her nutritional needs met, for a long and healthy life. Since we know the importance of this, we’ve decided to give you a hand. 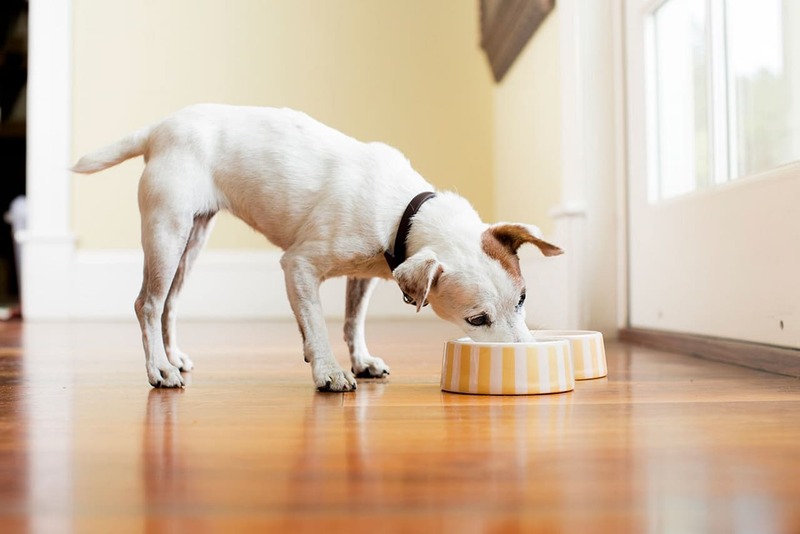 In this article, you’ll find everything you need to know in order to understand what organic dog food is and what you should be looking for as you’re browsing through the options. Just like in the case of organic food for people, there are certain regulations in place that producers must adhere to in order to be able to label the dog food and sell it under the ‘organic’ claim. The National Organic Program is the one responsible for regulating all of the organic crops, livestock, and agricultural products, and the food for dogs should follow the same standards as food for people. What this certification means is that the ingredients used are grown and processed without any GMOs, antibiotics, synthetic hormones, toxic pesticides, irradiation, sewage sludge or artificial preservatives, flavors, and colors. Besides all of the above, organic farmers are also required to follow certain guidelines that include the humane treatment of livestock and multiple water and soil conservation methods. In order to reinforce these regulations, farmers must also keep records of their processes, as they can be inspected at any moment by a USDA agent. Given all of these rules that are put in place for organic food production, you can only imagine why going for organic alternatives is a very good choice for your pup as well. This way, you don’t need to worry about any potentially harmful elements that could affect his or her health in the long run. It’s important to know that dog food can be either completely or partially organic. For this reason, you should make sure that you read all of the information provided on the label. Generally, if a food is completely organic, the label will read “100% organic”. That’s how you know that all of the ingredients were produced following the same guidelines. If the label says organic, this means that at least 95% of the ingredients are organic, while remaining ones must be part of the approved substances category. As for the food that is labeled “Made with organic”, this means that at least 70% of the ingredients adhere to the standards. Going for an organic option is surely a very good idea in order to ensure your dog’s health and long life. However, do keep in mind that no matter the choice you are going to make in terms of the level of organic ingredients a food contains, the most important criteria should be the nutritional value offered to meet your dog’s needs. When it comes to choosing the best food for your dog, you might wonder which one is the most suitable alternative between dry, canned or raw. So let’s take a moment and see the pros and cons of each of these options. Dry dog food is extremely easy to store and you can buy larger quantities at once, so it’s easier for the owner to manage and handle it. It’s also one of the less messy alternatives around the house, so if you don’t have a lot of time on your hands, this factor can be a significant one. However, dry dog food lacks moisture, so you need to make sure that your dog has water available all the time to prevent any potential dehydration. It’s true that because it’s dried, it’s more concentrated in terms of nutrients, but it’s also more processed so, in the end, it’s a choice that you need to make in terms of your dog’s needs. Canned dog food contains a higher amount of moisture and it’s a more appetizing alternative that your pet will most probably enjoy more. However, there’s also a good chance that the higher costs can be off-putting. The third alternative – raw dog food – is, according to some experts, the most appropriate choice since it resembles the diet dogs had when they were hunting and scavenging in the wild. Plus, this food retains vitamins and enzymes since it’s not processed and it’s easier for dogs to digest natural whole foods. These two terms are very often associated with dog food, therefore we thought it’s a good idea to understand the difference between them. Organic food is, as we’ve already mentioned, produced out of ingredients that need to adhere to certain regulations. Natural dog food, on the other hand, means that it’s made of natural ingredients that have not gone through excessive processing, but their source is not as controlled. On the other hand, natural dog food should not contain any artificial or synthetic ingredients, chemicals or animal by-products. It’s true that, compared to an organic alternative, natural dog food is not as good in terms of being sure that the source of the ingredients is a high-quality one. 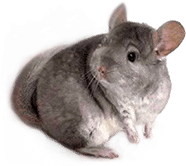 However, choosing a natural dog food is definitely a better idea than the cheaper alternatives that can contain harmful chemicals. In the end, what every pet parent wants is for his or her dog to be healthy and live a long life enjoying it to the fullest. 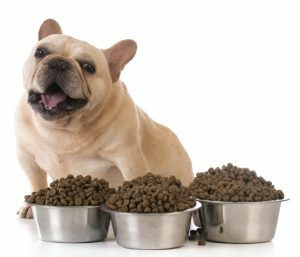 Plus, choosing a high-quality dog food also translates into fewer vet visits, as the overall health is improved and better maintained, so the extra cost is evened out. Since we’re discussing healthy food alternatives, it’s a good idea to take a quick look at what the term ‘holistic’ conveys. This is not an official definition, but it’s used among pet food manufacturers to describe dog food that has been carefully formulated for your dog’s health. Plus, it doesn’t contain fillers, hormones, chemicals, or other products that could be potentially harmful. Liked reading this article? Then maybe you’d also enjoy reading about roundworms – what they are and how they can affect your canine companion.